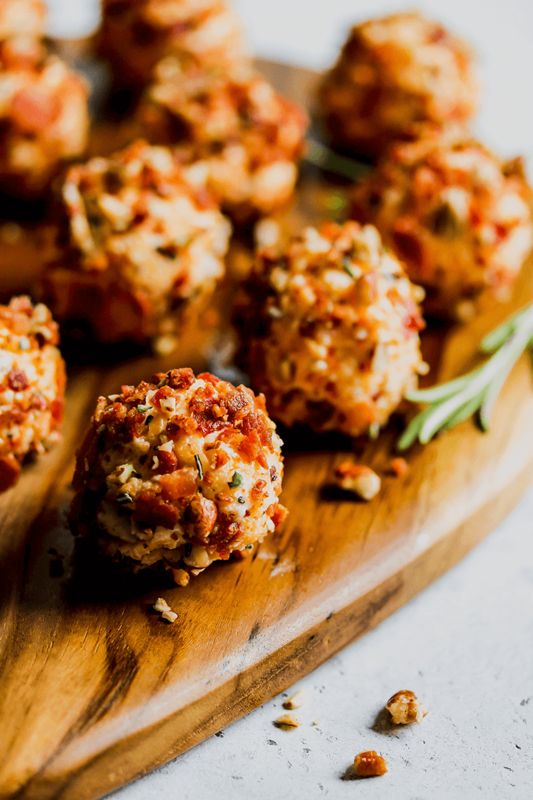 Roll pimiento cheese into balls then coat in crumbled bacon and toasted pecans to make this perfectly poppable appetizer, Bacon Pecan Pimiento Cheese Truffles. 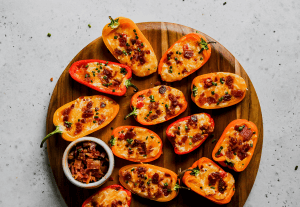 I’ve found in all my years of making snacks and appetizers for friends and family that foods that are cheesy, foods that have bacon, and foods that offer a rich flavor like pecans are ALWAYS are a hit. So, I thought, why not take my favorite Lightened Pimiento Classic Cheese to the next level. These bite-sized truffles garner huge hoorahs when I make them for various gatherings. In fact, they are so loved that I have often include them when doing cooking demos for various groups. 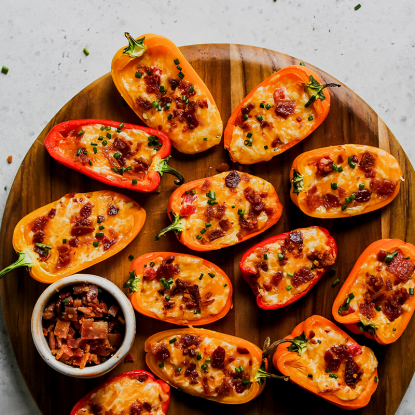 I love seeing the lightbulb go off when people realize that they can easily take something like pimiento cheese to the next level with a few clever tricks. 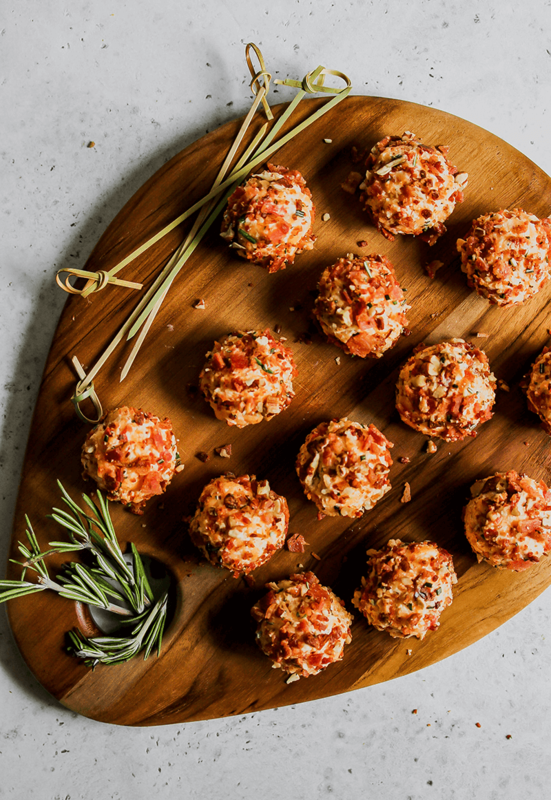 If you plan to make these pimiento cheese truffles for your next gathering, here are a few simple make-ahead tricks. 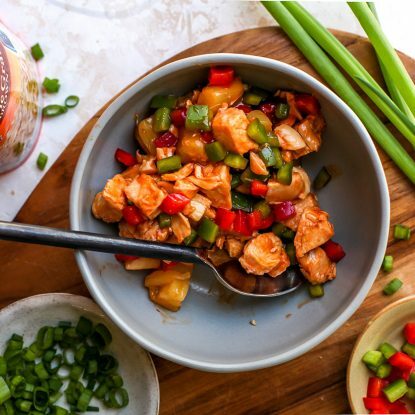 Make the pimiento cheese up to two days ahead and store in the refrigerator. If you don’t make my Lightened Classic Pimiento Cheese, buy a container or two from your favorite deli or grocery store (I like the brand Palmetto Cheese). Toast pecan pieces ahead and store in the freezer until ready to use. Cook and crumble bacon. Store in an airtight container for up to 1 day. If you’re completely pressed for time, look for the premade bacon at the grocery store in the deli. Use kitchen shears to cut these strips into small pieces. 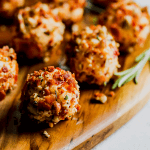 Combine bacon and pecans before rolling truffles. This way you only have to roll once. Store finished truffles in an airtight container in the refrigerator for up to 1 day. Combine toasted pecans and crumbled bacon in a shallow bowl. 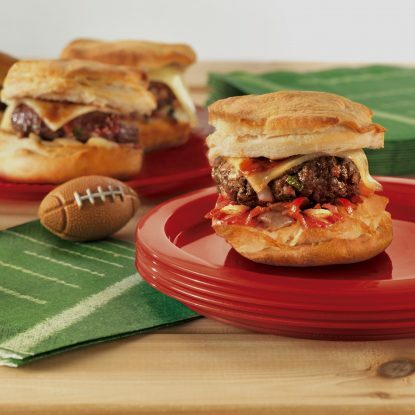 Scoop 1 tablespoon of Lightened Classic Pimiento Cheese and roll into a ball with your hands. 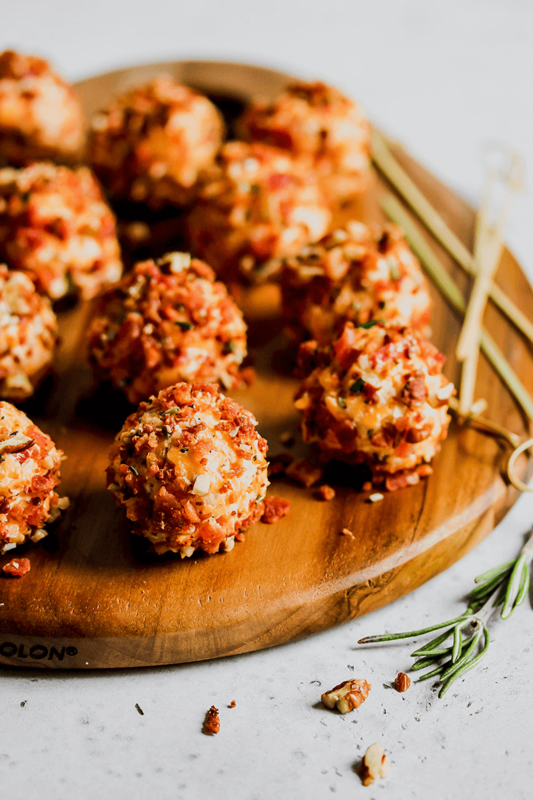 Roll pimiento cheese in the pecan and bacon mixture until coated. Once all of the truffles have been made. Refrigerate until ready to serve. Sprinkle with finely chopped fresh rosemary if desired. I just updated the recipe so let me know if it appears. I’m not sure what was going on with it. Thank you for letting me know! !